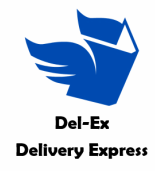 Become a Del-ex member Here! Every month, we will bill you via e-mail. If you do not pay in a week, your membership will be frozen until you pay. Two days after you sign up for a membership, you will receive a membership card. Every time you order something from us, please attach the card to the e-mail. *Every time you order something from us, with a membership, you will still have to pay for the product, but you will get it with lighting speed.